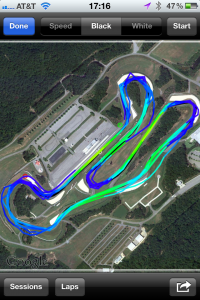 TrackDay GPS Accuracy | FTLapps, Inc. Although TrackDay Pro and TrackDay for iPhone can compensate for problems with GPS accuracy to some degree, an effective mounting strategy will assure the best result. But, now, with repeated follow-up testing, we’ve confirmed that the tail-mounted strategy works flawlessly. 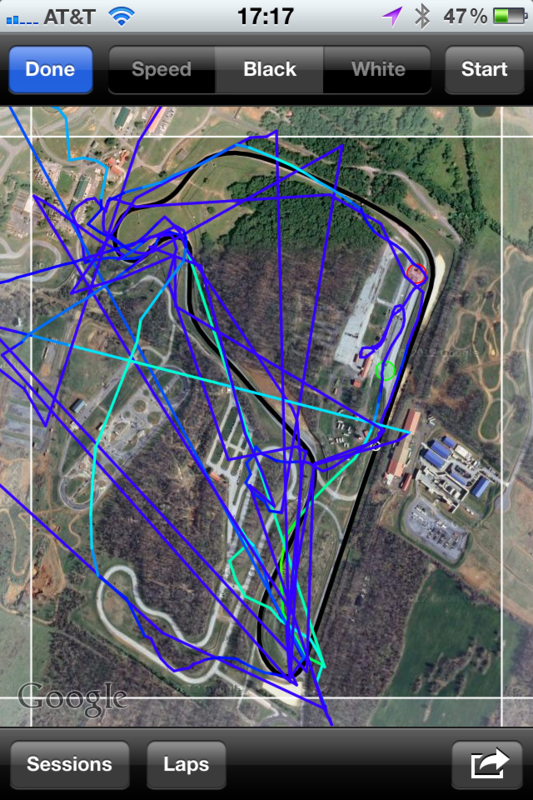 Lap times, cross-checked by video footage, are consistently accurate to within just a few one hundredths of a second! Options range from sophisticated and expensive to cheap and effective. For our initial rounds of testing, we chose “cheap and effective”: VELCRO and painter’s tape. 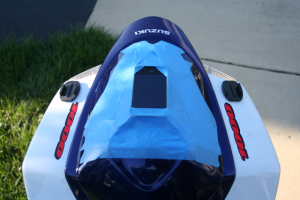 For track day riders, VELCRO affixed to the back of the bike provides a stable platform. Painter’s tape across the top and bottom of the iPhone, with diagonals crossing from front to back to secure the tape ensure against vibration and wind. During our third round of testing, our VELCRO / painter’s tape solution withstood (GPS-measured) 152 mph behind the rider. For a good GPS signal, a clear view of the sky is a must — but what counts as “clear” varies pretty radically — if at all possible, test your mounting solution before heading to the track. We’ve also found that positioning the iPhone or iPad horizontally seems to improve signal strength. Trackday Pro hasn’t been updated since 2014, are you abandoning the project? Not at all!! Just running a bit slower these days. We have all sorts of plans evolving for 4.1 and 5.0! Catch up with us at http://www.facebook.com/TrackDayPro for all the latest! Sorry to hear that! “Very” inaccurate: 10m to 20m variation, or 50m+? …the app will show you the horizontal accuracy for every sample collected for the session — just select the session and touch the GPS trace. Send us your sessions if you want us to take a look at your data. My GPS Accuracy is quite off, please email me so I can send you the data. Thank you for your support! We’d love to take a look (we emailed you)! 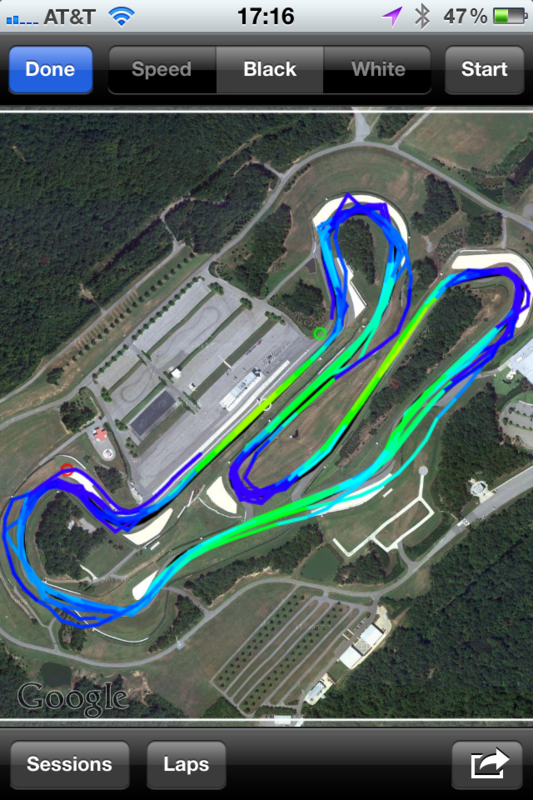 If you “Export” your session data, and send it to us at trackday (at) ftlapps.com, we’ll take a look! Also, if you haven’t already, please take a look at http://www.ftlapps.com/wordpress/2012/09/trackday-gps-accuracy/ for guidance.